We all know Ahmedabad as one of the fastest-growing urban centres in India. But how many of us are well acquainted with its rich history that dates back to several centuries? If you are one amongst those history enthusiasts and would love to learn in detail about the bygone era of Ahmedabad, then you must read this article. Here, we discuss the 5 most prominent historical places in Ahmedabad where one can literally feel like travelling back in time. Do you know the walled city of Ahmedabad or the Old Ahmedabad is the first-ever city in India which has been declared as a UNESCO World Heritage Site? Well, this is something which can compel you to plan a tour of the following places. Located on the banks of the Sabarmati river, Ahmedabad will assuredly satisfy the history lover in you. Constructed in the early 15th century, Jama Masjid is located inside the walled city of Ahmedabad and was built during the rule of Ahmed Shah, ruler of the Gujarat Sultanate. When completed, it was the largest ever mosque built in the country. Today, it has become a site of great historical importance and is frequented by thousands of tourists every year. On account of its mesmerising structural formation, it also allures numerous architecture enthusiasts. Built out of yellow sandstone, this beautiful structure comprises a water fountain, minarets, prayer halls, corridors and wash basins. This is one place where you can learn about the evolution of Ahmedabad. Another magnificent marvel within the boundaries of the walled city, Bhadra Fort was constructed in the year 1411 by Ahmed Shah, after whom the city is named. 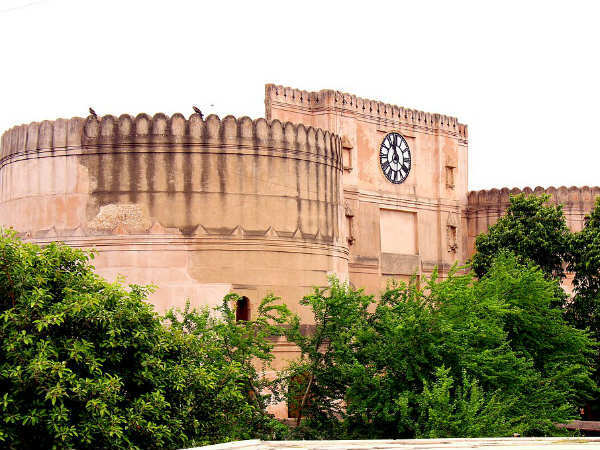 Built out of brick and stone, this ancient beauty is spread over an area of about 43 acres and houses several beautiful monuments in the form of palaces, lawns and mosques. If you love taking a stroll through the corridors of history, then you must visit Bhadra Fort in Ahmedabad. It is one of the few places which are of great religious, cultural, historical as well as architectural prominence. The fort was also ruled by several other dynasties including the Marathas and the British. You must be wondering how a lake, being a natural site, can be categorised as a historical place? If yes, then let us tell you that Kankaria Lake is one of the oldest lakes in Gujarat and was built by a ruler of the Gujarat Sultanate in the late 15th century. Being a man-made lake, it is counted as a historical structure. Today, Kankaria Lake has become a popular evening destination for locals and other seasonal tourists who come here to escape the city pollution and take a breath of fresh air. The complex of this beautiful lake is also home to a zoo, an amusement park with thrilling rides and a temple. Hence, it makes for an ideal weekend getaway in Ahmedabad. If you are an ardent lover of architecture, then you cannot afford to miss Hutheesing Jain Temple, the most visited and popular temple in the city. The temple was constructed in the year 1848 by a local businessman. Today, it is popular amongst tourists for its incredible artistry. From intricate patterns on the walls to beautifully structured domes and pillars, each and every corner of this man-made wonder deserves to be explored. Also known as the Jhulta Minar, Sidi Bashir Mosque is a mosque of national importance and was built in the year 1452 by a slave of Ahmed Shah, the sultan of the Gujarat region. Even though it is lying in ruins, it still attracts hundreds of history lovers every year. However, entry to the mosque is prohibited as the structure may collapse anytime. Do you know the towers of Sidi Bashir Mosque are the tallest minarets in the city of Ahmedabad? So, how about capturing its beauty on your camera?